Police body cameras are being explored as an option to put an end to racial profiling and hold law enforcers accountable for their actions. 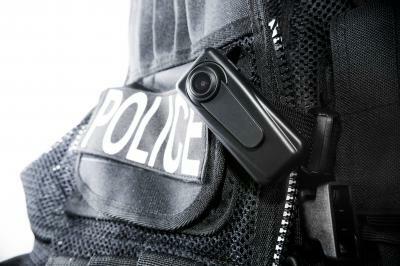 Some studies suggest, however, that the cameras had minimal impact on enforcement methods. As City Council President in Erie, Sonya Arrington hears a lot about racial profiling. Stories of drivers pulled over because they "match a description," and cars that are searched because an officer claimed to smell weed. Although she is quick to clarify that not all of our police officers abuse their authority, Arrington has called for more oversight because "police can't police themselves." This concern initially led her to suggest a citizen's review board to investigate allegations of police misconduct in Erie. But after some conversations with our new mayor, she now believes that mandatory body cameras may be a better way to ensure trust between the community and law enforcement. This technology can be costly, so Schember has tasked his newly-appointed grant writer Abigail Skinner to seek out funding. Skinner informed me via email that "body cameras are a priority of the administration" and that grant opportunities are already being explored. According to Arrington, "it's a win-win for both the citizens and the police because the camera is going to speak for itself." Newly appointed Chief of Police Dan Spizarny is more guarded in his optimism: "I believe that body cameras will be good provided that the expectations are reasonable. We have to understand that there are limitations to what the cameras will see and how clearly they will see it." Spizarny notes that "live body cam filming is not the same as watching a television show" and that environmental factors like weather, lighting, and movement will affect the quality of the evidence they produce. There are ethical concerns as well. When recently asked why a body camera should have an "off" button in the first place, Spizarny had to jokingly remind a constituent that his officers occasionally use the bathroom. More substantive questions have emerged about the public's right to see recorded footage and how our state's decade-old Right to Know Act (which guarantees access to public records) should be adjusted in response to the technology. Finally, the social value of body cameras is still far from clear. The Washington D.C. Metropolitan Police Department recently concluded a two-year study involving approximately 2,200 officers which "found that body-worn cameras had no statistically significant effects" on policing. Still, the decision reflects a shift toward greater transparency in law enforcement and local government. When I spoke to Arrington in late January, she found Mayor Schember's willingness to attend monthly City Council meetings — where community policing endeavors are increasingly a priority — especially encouraging. The council is working closely with the mayor to expand programming in our community centers, allowing a rotating list of police officers to "volunteer, help the kids with their homework, and interact in a positive way," according to Arrington. The Police Athletic League has also recently expanded as a part of this effort. Arrington centralizes the importance of relationships between officers and the communities they serve as our city cultivates these changes. Regarding community policing, a pilot program designed to strengthen police/community relations has just been put forth by the Department of Justice. "We're trying to develop more programs within the department to have more citizen contacts. We're trying to encourage our officers to get out of the car more, to speak with more people in non-enforcement situations." Obviously body cameras and community policing won't alleviate all of the tensions in our community. Body cameras are a new tool for police departments and ensuring that they are implemented ethically and effectively may prove challenging. But dialogues are under way, and Arrington is feeling positive: "I see change. I see hope in the inner city, and the whole city, really."